According to multiple sources on the Internet, the average amount of remotely conscious decisions an adult makes each day equals about 35,000. In contrast, young children only make about 3,000 decisions each day. On a daily basis, we make decisions that either push us towards or away from our goals. Some decisions are supposedly minor in nature like whether to sleep by 10 pm or 2 am, whereas others are major decisions such as whether to go to a higher institution or to learn a trade. Making the decision to be financially free is usually bedevilled with lots of obstacles. When it comes to making the decision to achieve Financial Freedom, so many people only go as far as making a wish. Your wishes may be good at creating a desire in you to embark upon a goal. But that is where it ends. Only a Desire will be sparked! No results to show. If you are serious about living a life of wealth and abundance, you have to go beyond making a wish to taking action. Then again, many people fail to take action because of some perceived and real barriers. The most common perceived barrier that stands in the way of your financial success is FEAR. And there are many of them, including the fear of success, fear of failure and the fear of what people will say. We were all created by God with lots of Rich Potentials. But unfortunately, some people’s earning potentials are securely locked by their own FEARS. – Obot Essiet Jr.
Perhaps the biggest real barrier that stands in the way of most people is the problem of not having the funds to pursue their dreams. Fear of the “lack of money” has killed so many dreams! It is obvious that every Entrepreneur is saddled with the task of finding the capital to run his business and most brave startups have to launch out with little or no money. They have to source for additional funds from banks, investors, family and friends, mutual funds, etc. to support their business. Thinking about where and how to get these funds alone can be paralyzing to business ‘freshers’. Also, if you have ever thought of improving the quality of your life or expanding your means of income, you will agree with me that it is not easy to think straight when you start considering these obstacles. They have the power to hinder you from unleashing your full potential and unlocking your earning power. There is one question that can help you unlock your potentials! It is because FEAR has a way of hindering good and profitable business ideas from coming to you. Fear causes you to underestimate the creative power that God deposited in you – which indirectly blocks your multiple streams of income. It causes you to bury your talents just like that man in the biblical Parable of Talents! However, I have great news for you! What one thing would I do, what important step or decision would I make to improve my earning power…..IF Money were no barrier? The moment you ask this question, and quietly meditate on it, you’ll notice that the right answers will begin to flow in from deep within you. 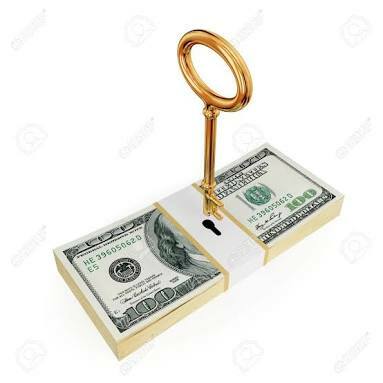 It is because you have broken down the barriers of that ONE obstacle – lack of money – that ties down so many geniuses from unleashing their full potential and unlocking their earning power. Try the exercise above and let me know your experience in the comments section. In my next post, I am going to be sharing with you more about MONILESSOPHOBIA – the fear of NOT having money.